Erupting snowflakes? Yes, please! It’s easy to add a fun theme to a baking soda experiment and we this month we have a fun winter chemistry activity with a love potion theme! 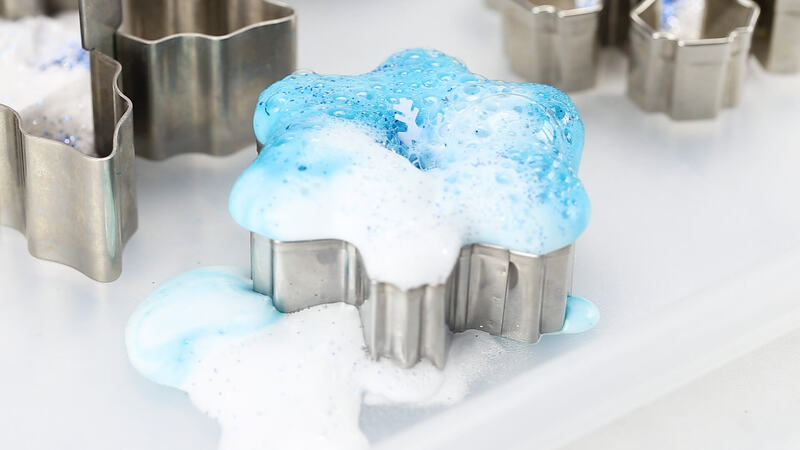 This winter baking soda vinegar experiment is perfect for exploring states of matter and chemical reactions with common kitchen ingredients! You will find simple science is so much fun when you can a seasonal twist to it. Enjoy winter while you hang out inside with easy kitchen science! We came up with a chilly theme this month, a winter baking soda vinegar experiment! You can grab basic supplies right out of the kitchen cabinet and create awesome, simple science activities the kids’ love! 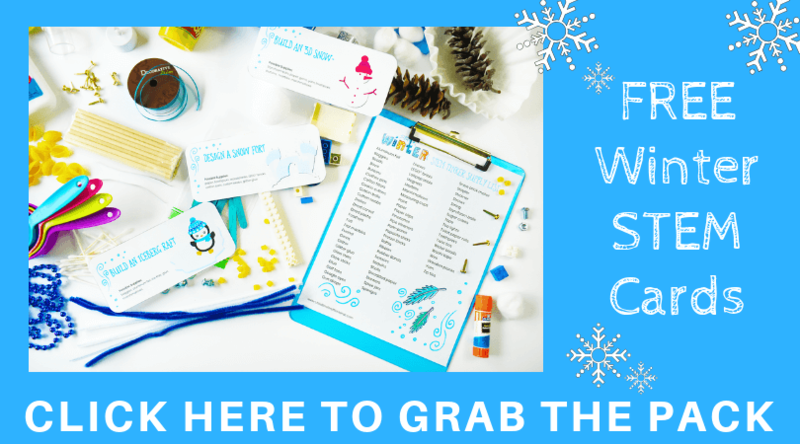 This winter theme science tray is just that! Simple, fun, and engaging for young kids and great for early childhood development. Who doesn’t like to mix potions and concoctions? You and your kids can enjoy simple chemistry all season long! We love baking soda and vinegar experiments any time of the year. The kitchen is full of simple science with simple ingredients that are budget friendly. 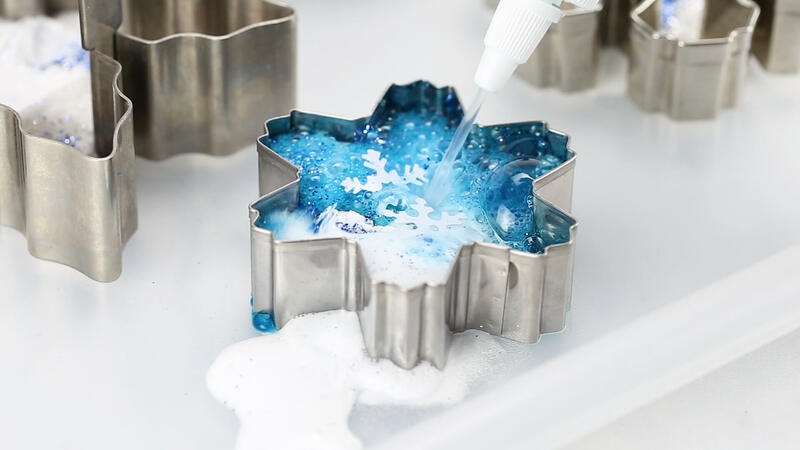 You might want to see this snowflake oobleck while you are mixing up new substances in the kitchen. 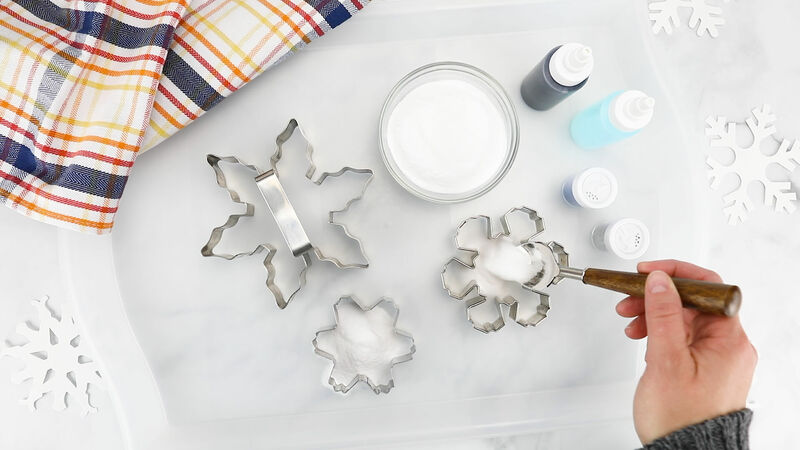 Here’s a simple way to set up your winter baking soda science tray. If you have limited time, this science activity is perfect. Get it done in 10 minutes or let the kids explore as long as they are interested. NOTE: I understand glitter is not for everyone and is not especially environmentally friendly. 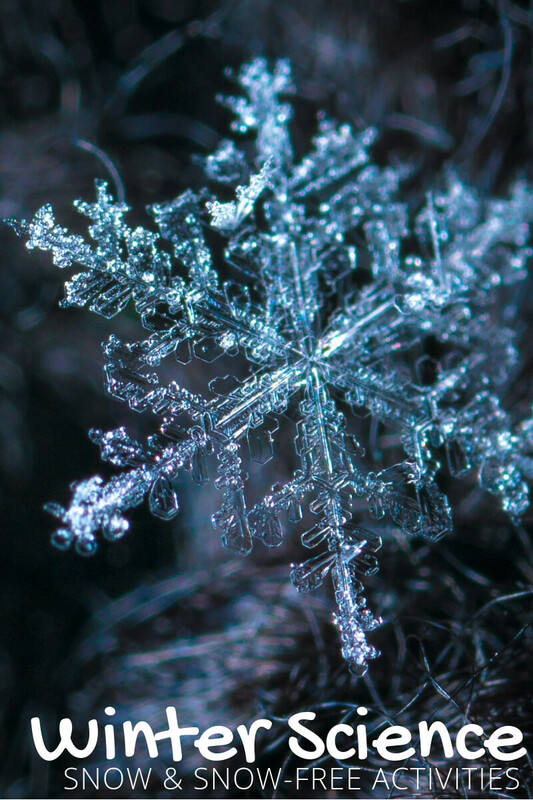 This winter science activity will still be fun without it. 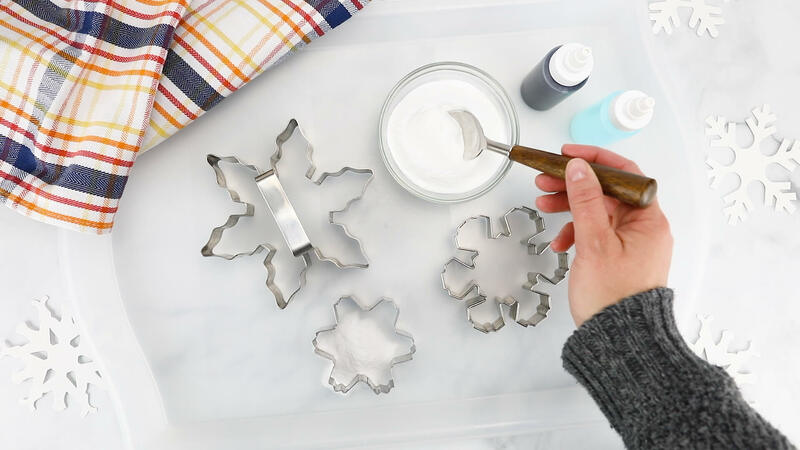 You can fill the winter theme cookie cutters with baking soda ahead of time or let the kids practice spooning it into the shapes! 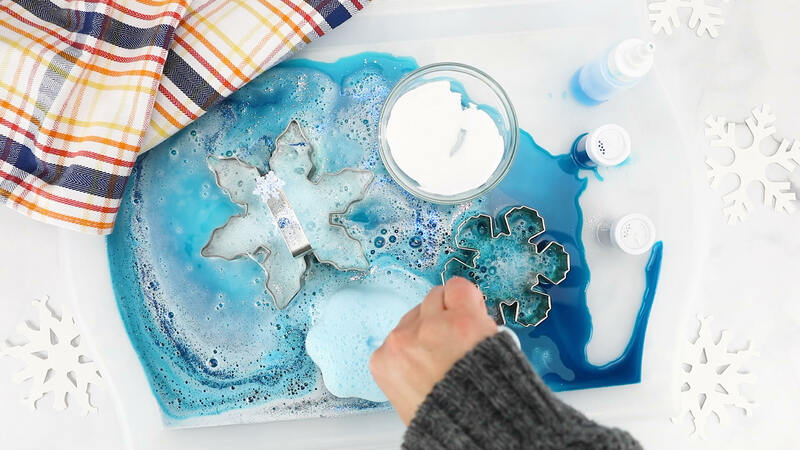 All you need to do with this winter baking soda vinegar experiment is encourage mixing! My son already knows quite a bit about what happens when you mix baking soda and vinegar. 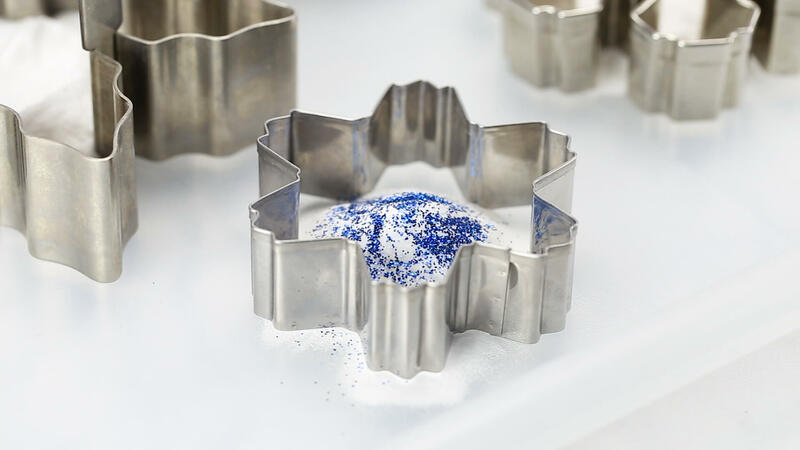 You can also experiment with baking powder and water like we did here. Even better, compare the two mixtures and see which one makes better fizzy snowflakes. Set this up for Valentine’s Day too, see it here. The squeeze bottle with water and dish soap will make the eruption frothier than if you did not use soap. I bet you will see the kiddos with a squeeze bottle in one hand and a baster in the other once they get going! 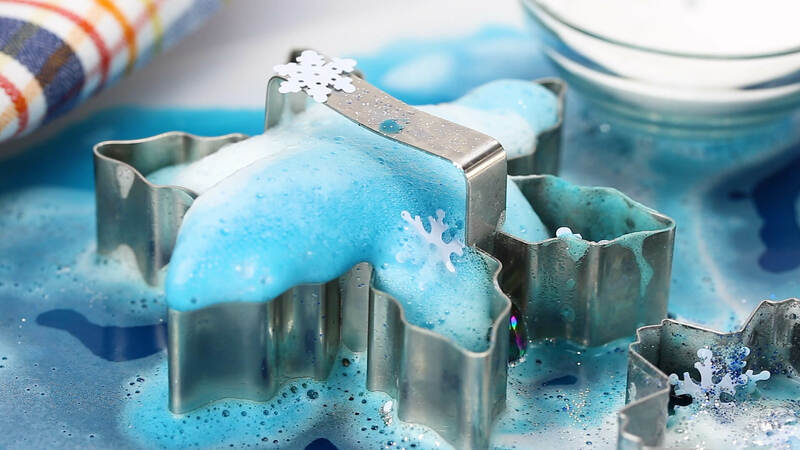 FUN WINTER BAKING SODA AND VINEGAR EXPERIMENT! Make sure to check out all our winter science experiments and grab your FREE winter STEM cards too!